utlook Password Recovery Pro is the all-in-one enterprise software to instantly recover your lost or forgotten mail passwords from all versions of Outlook. It also helps you to remove stored email passwords to prevent it from being stolen by hackers/virus/ransomwares. 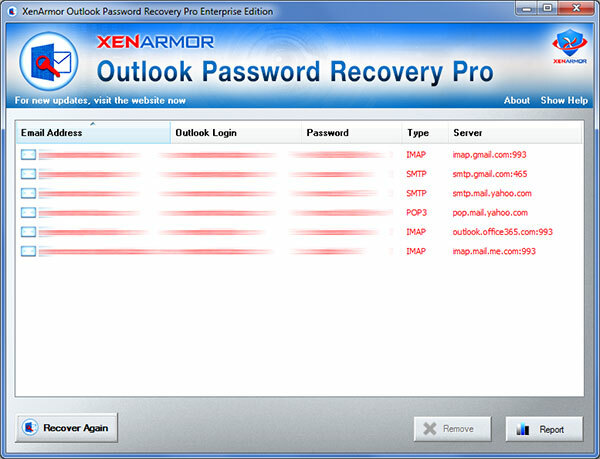 Outlook Password Recovery Pro works on all 32-bit & 64-bit platforms from Windows XP to new Windows 10 version.